Create your dream bathroom with the new Sax bathtub series. A trendy freestanding bathtub, the Sax features a modern asymmetrical apron creating a bathroom masterpiece. Choose from one of three coloured skirts offered or standard white to create your very own wow factor. This unique size bathtub offers maximum bathing space, high backrest for your comfort and versatility for deck mounted faucet installation for a compact clean look. This American Standard Princeton 5 ft. Bathtub in White consists of Americast material that is lightweight, making it easier to install than many tubs. 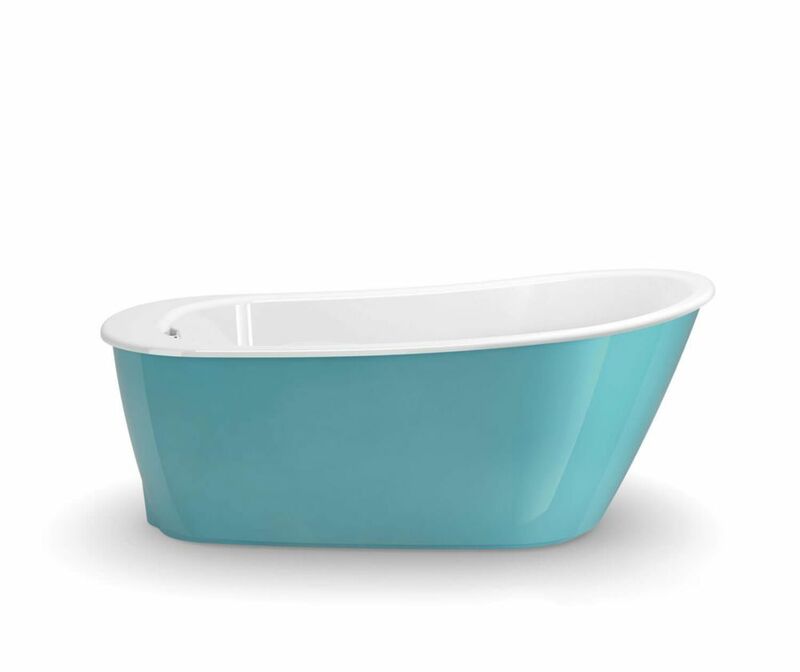 This tub's integrated front apron and tilting flange also make it a great choice. Users will appreciate the lumbar support and headrest, making bath time great for relaxation. And for safety, there's a slip-resistant bottom. Sax 5 ft. Fiberglass Reversible Drain Flat-bottom Non-Whirlpool Bathtub in Aqua Create your dream bathroom with the new Sax bathtub series. A trendy freestanding bathtub, the Sax features a modern asymmetrical apron creating a bathroom masterpiece. Choose from one of three coloured skirts offered or standard white to create your very own wow factor. This unique size bathtub offers maximum bathing space, high backrest for your comfort and versatility for deck mounted faucet installation for a compact clean look.